Fig 1 shows the general arrangement. The capsule containing the carbon granules is bolted firmly to a metal frame – hence the name solid back. The front of the capsule is attached to a light aluminium diaphragm, supported in a rubber ring, which receives the incoming sound. The capsule is formed from a chamber lined with paper coated in shellac varnish for electrical insulation. The two electrodes are buttons of hard carbon with a high polish. Each is copper plated on one side and soldered to a brass disc. 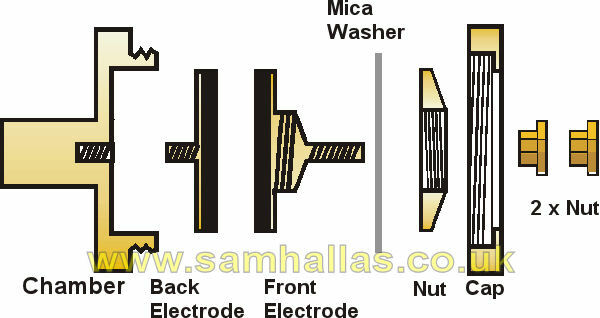 The back electrode has a stud which screws into the chamber housing. The front electrode is clamped by a nut to a thin mica washer which retains the carbon granules whilst allowing the electrode to move like a piston in the granule chamber. A threaded stud projects from the front electrode allowing it to be fixed to the aluminium diaphragm. A threaded cap fits over the whole chamber to retain the electrode and granules in place. 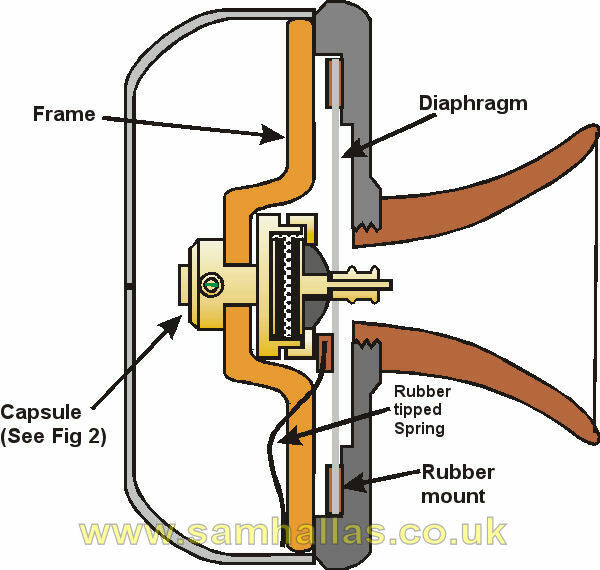 One or more flat, rubber-tipped springs press on the diaphragm to damp any persistent vibration. 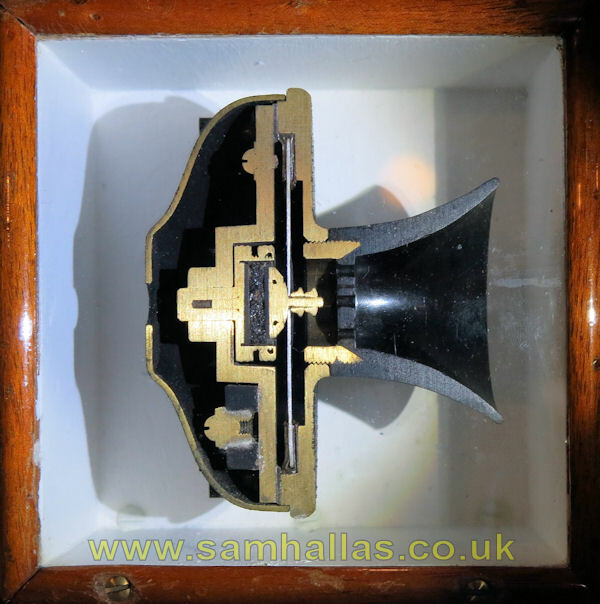 The Solid Back was a most efficient transmitter for its day and began to replace the Blake transmitter from the 1890s onwards. 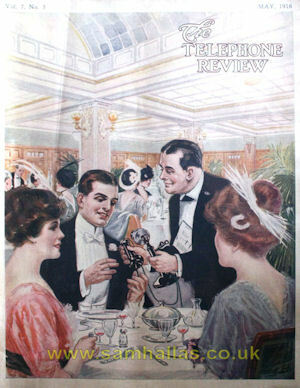 It was used by the British Post Office on their telephones No 1 and No 2. It remained a standard BPO transmitter for central battery telephones until overtaken by the inset transmitter No 10 in the late 1920s. Figs 1 & 2 is redrawn SMH from diagram in Abbot, Fig 2 from the US Patent.